U.S. Treasuries are generally considered one of the safest – if not the safest – investments in the global financial markets. While this is true, it depends on how you invest. If you approach Treasuries in the wrong way, they can, in fact, be quite risky. There are two kinds of risk in the bond market: credit risk and interest rate risk. Credit risk is the risk that an issuer will default, while interest rate risk accounts for the impact of changes in prevailing rates. Treasuries are risk-free is in the first instance: credit risk. Despite concerns about the United States’ fiscal health, U.S. government bonds are seen as being among the world’s safest in terms of the likelihood that their interest and principal being paid on time. The United States has never defaulted on its debt in the modern era, although there were some cases of restructuring in the 1800s. Treasuries are indeed free of credit risk, but they are subject to interest rate risk. While Treasury bills and shorter-term issues don’t suffer much of an impact from rate movements, intermediate-term bonds (those with maturities of five to ten years) can experience moderate volatility, while longer-term bonds (ten years and up) can be quite volatile. If an investor holds a Treasury security until its maturity, this isn’t a factor. While the principal value will fluctuate up and down through the life of the bond based on the changing outlook for interest rates and inflation, the investor can be assured that he or she will eventually see their original investment returned. However, it does become a factor if the investor is forced to sell a Treasury issue prior to its maturity. In this case, the bond’s price will have changed based on market fluctuations, and the investor will receive proceeds that can be more or less than their original investment. Since individual Treasury securities ultimately mature at their full value, an investor in a government bond can rest easy knowing that even if the value of the bond is dropping in the short term, the principal will be paid back in due time. This isn’t the case with mutual funds or exchange-traded funds (ETFs) that invest in Treasuries. Unless a fund is a “target date” fund with a designated maturity date, funds will never mature. In funds that invest in shorter-term bonds, that usually isn’t a significant issue since the volatility of the underlying holdings is low – although the price can indeed experience a moderate decline. However, funds that invest in long-term Treasuries can be exceptionally volatile. If Treasury prices decline, this will result in a loss of principal for the investor. Investors who are considering the purchase of a fund that invests in long-dated Treasuries, therefore, need to be aware that they are in fact assuming elevated principal risk – even though the underlying securities won’t default. Naturally, high risk can equate to high return… providing the market moves in the right direction. U.S. Treasuries are indeed risk-free – for individuals who hold individual bonds until maturity. However, there is a risk for those who sell their bonds prior to maturity or who invest in long-dated Treasury funds. As a result, even this “risk-free” investment can, in fact, be quite risky in certain situations. 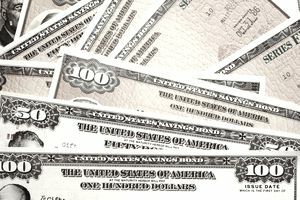 What Types of Bonds Are Low Risk?